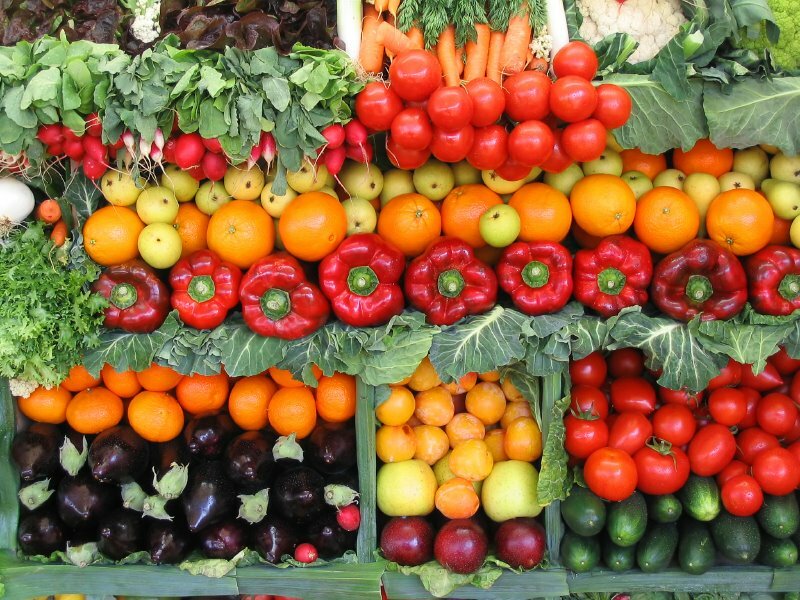 October 1 is World Vegetarian Day and kicks off Vegetarian Awareness Month. In honor of that, a local hospital has offer Five Tips for a Vegetarian Diet, which, if nothing else, can give you a little insight into what eating more of a plant-based diet can do for you and your body, even if you’re not vegetarian or vegan. A good resources is a Web site called GoVeg.com, where you can get a free vegetarian start kit. 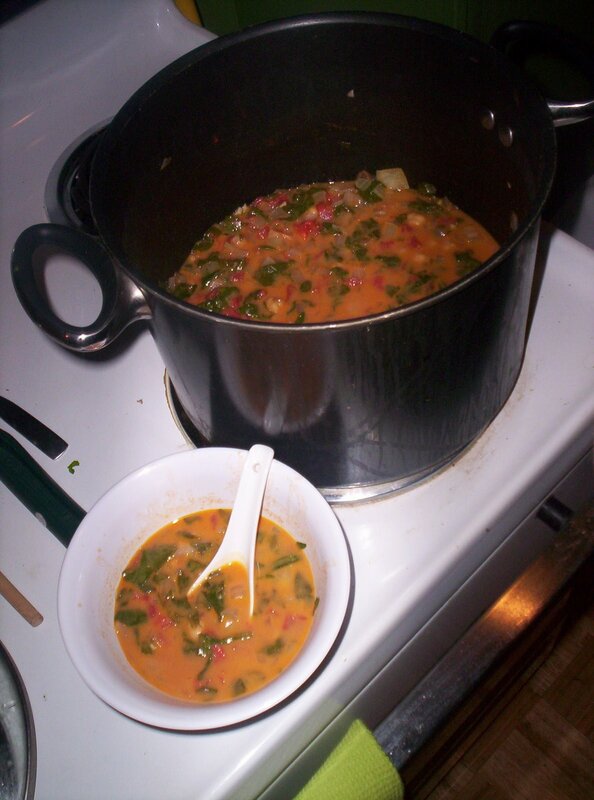 I, personally, subscribe to Vegetarian Times, where I have learned a lot and have dozens of amazing recipes at my fingertips..
(I recently tested VT’s African Chickpea and Spinach Soup and it was AMAZING. 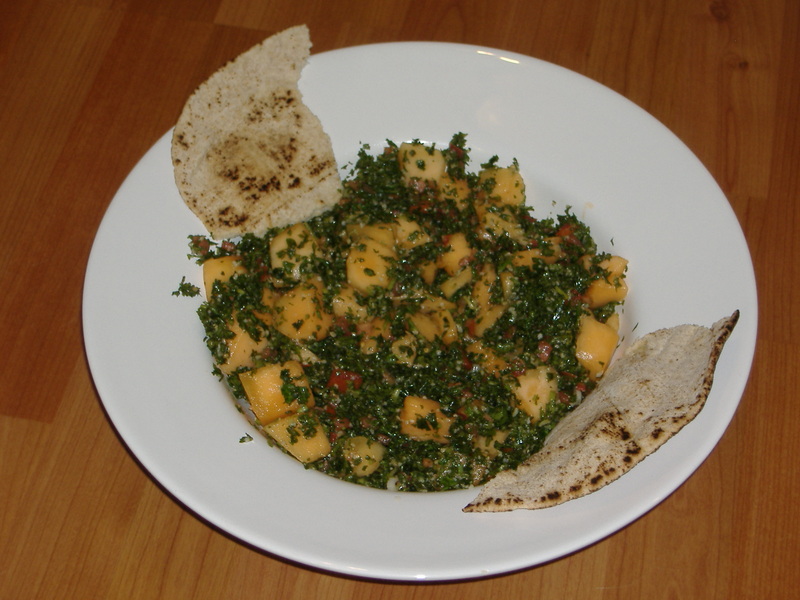 And, if I haven’t mentioned it before, check out VegMichigan. I volunteer as editor of VegMichigan’s monthly newsletter and monthly news updates. It’s a great resource for information and vegetarian or vegan events, potlucks, information and more, including the annual MeatOut which, at the local level anyway, has been renamed VegFest and is scheduled to be at Ferndale High School in April. OK, I think I’ve inundated you with far too many links, so I’ll leave it at that. If you ever know of any vegetarian-friendly news or events, feel free to post here or let me know! My co-worker and regular recipe tester Mary T. recently found herself at a wedding where she had requested a vegan meal. 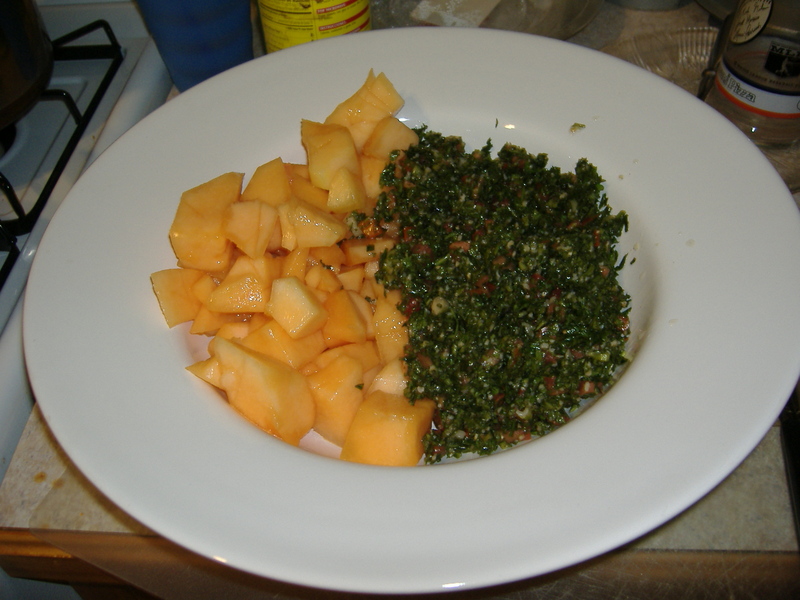 She couldn’t believe it when they showed up with a pile of cantaloupe and a pile of tabbouleh. Per the waiter’s instruction, she mixed it together and dove in. Sound crazy? I agree. But Mary swears that it’s now a favorite of her and her husband, Matt, who’s not even vegetarian, let alone vegan. On a recently night they filled a giant pasta bowl of the mixture and killed it, with the help of some pita bread. I’ve never been much of a picky eater so I’m willing to give it a try! I mean, I’ve grown to love strawberry jelly on grilled cheese, so why not give this a shot, right? If you try it, let me know what you think! On that note, if you try any of the recipes I post here, I would love to hear your comments on what you think of them.